Following are some general principles in answer to a few of the most commonly asked questions concerning steroid arrests. For other general information, including, for example, the consequences of not being read your rights, please see the criminal defense web site of Collins Gann McCloskey & Barry PLLC (which has a section devoted to this general topic) at cgmbcriminaldefense.com. How am I most likely to get arrested for steroids? Under federal law and the laws of many states, selling steroids, or possessing them with intent to sell, is a felony. An individual who sells steroids unlawfully, or possesses unlawfully with intent to sell, is punishable by up to five years in prison for a first offense (up to ten as of mid-April 2009) and up to seven years in prison under New York state law. Every state’s laws are different. Of course, whether an individual serves any prison time for selling steroids depends upon numerous factors including but not limited to the person’s past criminal history, the strength of the prosecution’s case, the person’s role in the offense, and how effectively the case is either negotiated or litigated by defense counsel. 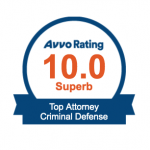 An experienced criminal lawyer can make the difference. What are my chances of being arrested just for personal use possession? Simple unlawful possession is a federal offense punishable by up to one year in prison and/or a minimum fine of $1,000 for a first offense (most states have added anabolic steroids to their schedules of controlled substances). Even if a jail sentence is ultimately avoided, the consequences of an arrest alone include being handcuffed, fingerprinted, and hauled before a judge for arraignment in open court. There will likely be legal expenses and even forfeiture of seized assets. A criminal conviction may prevent or interfere with employment opportunities in many fields such as law enforcement, and members of certain professions involving licensing (physicians, lawyers, dentists, pharmacists, teachers, nurses, cosmetologists, public accountants, architects, auctioneers, barbers, and licensed counselors, just to name a few) can expect a conviction to be reported to their state licensing authority, placing current employment in jeopardy. A drug conviction can suspend a person’s driver’s license (it’s mandatory in some jurisdictions) and be a bar to the ability to own a firearm. Unquestionably, the assistance of experienced legal counsel is your best defense against these potential consequences. Will the police try to get me to “cooperate” with them? People who get arrested for controlled substances are often pressured to work with the agents who arrested them or with other law enforcement authorities to assist in the identification, investigation, arrest and prosecution of others involved in criminal activity. Known to law enforcement as “confidential informants” (but to their former friends and associates as “rats” and “snitches”), they cooperate in return for more lenient plea or sentence bargains. It is not uncommon for the police or federal agents to squeeze the many “small fish” they arrest into giving up their sources, leading to the arrests of bigger fish who, in turn, are squeezed to give up their sources. Whether the police seek to recruit a person as an informant depends upon a combination of many factors. Deciding whether it is something an arrested person should consider doing requires a risk-to-benefit analysis and extensive consultation with an experienced criminal lawyer. Will I be charged in state or federal court? In most states, both state and federal laws prohibit anabolic steroids, and a person can be prosecuted under either. In which court the case is brought often depends on the agency responsible for your arrest, and on the seriousness of the charges. Because of the way steroid quantities were originally calculated, many trafficking cases were routed to state courts. But revisions to the United States Sentencing Guidelines have greatly increased the punishments for steroid distribution, and many cases are now brought in the federal courts. that steroid quantities are calculated under the federal sentencing guidelines, many cases with potential federal jurisdiction are dumped in state or local courts where sentencing may be much more severe. In possession cases, even investigations begun by federal authorities like the Postal Inspector and U.S. Customs are most often brought in state court, not in federal court. This is particularly the case if the quantity is small and there is no indication of intent to distribute. In rare circumstances, you can be charged in both state and federal court with the same conduct. What are my chances of going to jail? A very important question, but one that is impossible to answer without knowing the specifics in a given case. Critical factors include, but are not limited to, the amounts of steroids involved and your prior criminal record, if any. In our experience, few first-time offenders charged with mere possession for personal use are sentenced to jail in the New York state courts. Sellers are treated more harshly. In federal courts, the quantity involved is crucial under the United States Sentencing Guidelines. In state courts, various other factors can apply. You should know the law and potential sentencing range that applies in your state. We are committed to defending those prosecuted for anabolic steroids. We are admitted to practice in the New York, Massachusetts, Maryland, Pennsylvania, and Texas State courts, the District of Columbia, the Federal Courts of the Eastern and Southern Districts of New York, the Western District of Texas, the Eastern District of Pennsylvania, the District of Colorado, the U.S. Court of Federal Claims, the U.S. Court of Appeals for the Second Circuit, the U.S. Court of Appeals for the Federal Circuit, the Court of Appeals for the Armed Services and the United States Supreme Court. We will promptly respond to questions from anyone being investigated for or charged with a crime related to anabolic steroids. 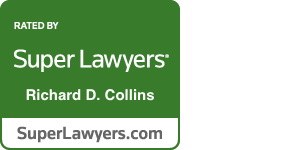 Where appropriate, we will make referrals to qualified counsel in other jurisdictions. We are available 24 hours, 7 days a week for emergencies only by calling 516-294-0300. Other inquiries are answered weekdays between the hours of 2 p.m. and 5 p.m. Eastern time. Initial consultations may be scheduled in advance at our offices in Manhattan or Long Island. We handle all other criminal matters, including white-collar crime, fraud, narcotics cases, thefts, assaults, and serious traffic offenses (including suspended license charges). For just a few examples of the thousands of matters we have successfully defended, click here. Feel free to call us with any legal question; if we don’t handle your type of case, we can try to connect you with an experienced attorney who does.